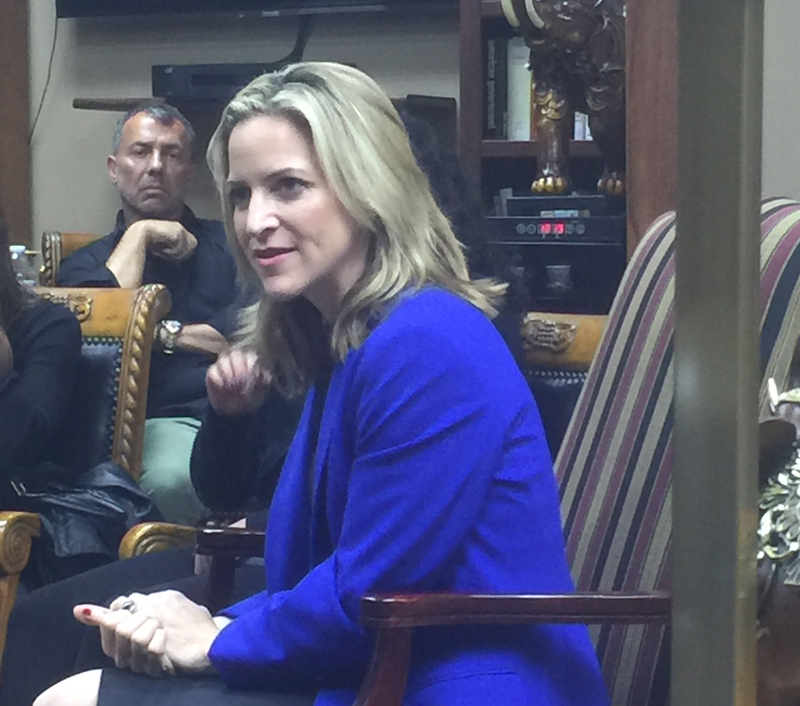 Jocelyn Benson made a campaign stop at The AANews offices in Dearborn, where she met with local business owners, organization leaders, law enforcement officers and court officials, among others. 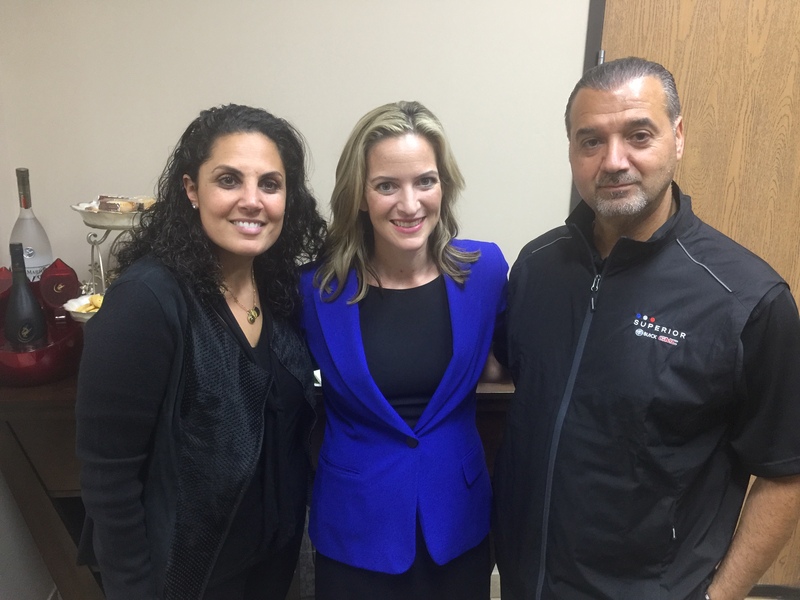 DEARBORN – Jocelyn Benson sees the secretary of state as the chief guardian of our democratic process. Benson, a former dean of the Wayne State University Law School, is the Democratic candidate for Michigan’s secretary of state. 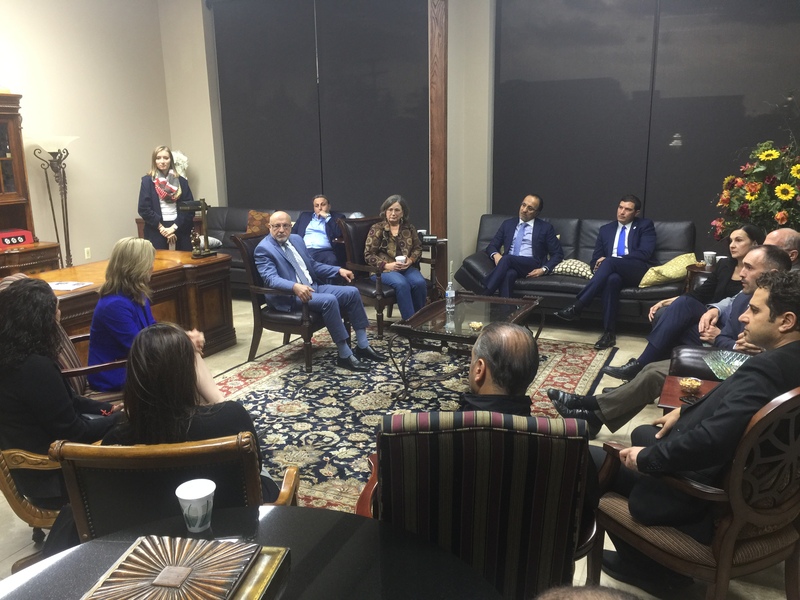 On September 28, Benson made a campaign stop at The AANews offices in Dearborn, where she met with local business owners, organization leaders, law enforcement and court officials, among others, to discuss the Arab American community’s concerns and her plans for improving the Secretary of State (SoS) office in Lansing and its branches state wide. Benson, who’d previously campaigned as the Democratic candidate in 2010, told the group what really excited her about the SoS office is its election oversight. Benson’s dedication to protecting voting rights began with the Southern Poverty Law Center in Montgomery, Alabama, where she worked as an investigative journalist. She said she was inspired to work to ensure that everyone had the right to vote. In 2004, she moved to Michigan to work for U.S. Appellate Judge Damon Keith in Detroit. Around that time, at 27-years-old, she began teaching election law at Wayne State University. Her research duties were to analyze the importance and need for translated election material, including ballots in Dearborn, and their potential to increase turnout and engagement. As a faculty member, Benson also wrote a book called “State Secretaries of State: Guardians of the Democratic Process”, in which she interviewed secretaries of state from around the country. In doing so, Benson said she understood the magnitude of work that need to be done to modernize the SoS office in Michigan, including ensuring people can vote absentee without reason, vote early or register to vote online. Benson has also since married a U.S. Army veteran. She said an experience with her husband and a failed election system was pivotal in her decision to run again. She said that many other states have other options to return a ballot more effectively and still counts as long as its postmarked by election day. She has since heard many similar stories from families across the state. What Benson described as “real threats to the security of our elections” that emerged from the 2016 presidential election also motivated her to run again. She also said the secretary of state election is critical this year. Benson promises to have you in and out of branch offices in 30 minutes or less. Put simply, Benson said she wants to be a secretary of state who saves people time, saves their money and protects their votes. Chiefly, she plans to implement a 30-minute guarantee, where customers can get in and out of a branch office in 30 minutes or less. To do so, her office will first conduct a time study of all branch operations and find ways to reduce foot traffic into branch offices. Some reforms include partnering with local businesses so that people can renew tabs while shopping, creating a phone app for services and improving the branch offices operations. Benson also discussed her plans to fight increases in driver’s fees and making it easier to register to vote. She hopes to create more options for when people vote, like voting early and on different days. She said voters should be able to register to vote online and be automatically registered as 16-year-olds when they get their licenses, so that they’re in the system and can vote at 18. She also said she hopes to push for multi-year driver’s license and license plates so drivers don’t need to come into a branch to renew them as often. 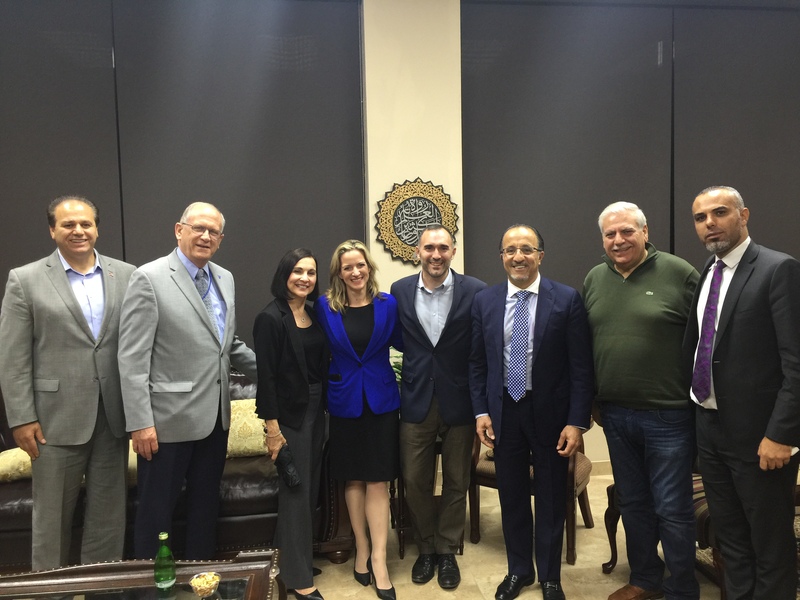 If she wins, Benson said she plans to spend one day each month working at a branch office unannounced and promised to make Dearborn her first stop in January. “I want to experience the office through the eyes of not just the consumer but also the workers, get behind the desk and see what they’re dealing with,” she said. She added that her campaign team has met with Dan Gilbert and Quicken Loans, who have won national awards for great customer service, about ways to train SoS employees in customer service. 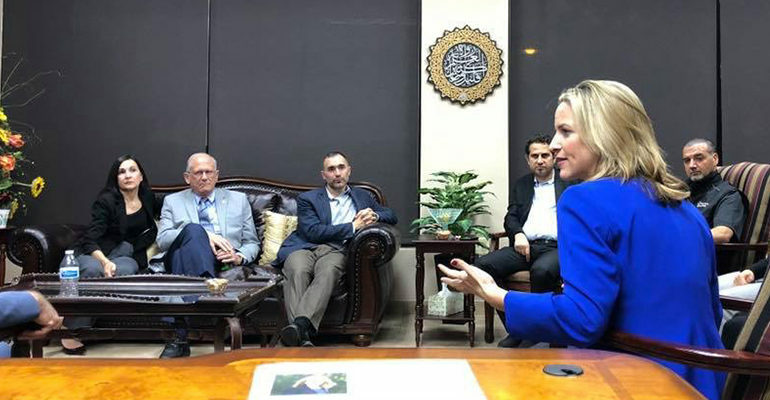 Benson said she heard in great detail about the bad service at the Dearborn SoS branch, including descriptions of rude attendees and lines that take about three hours, compared to branches in neighboring cities. 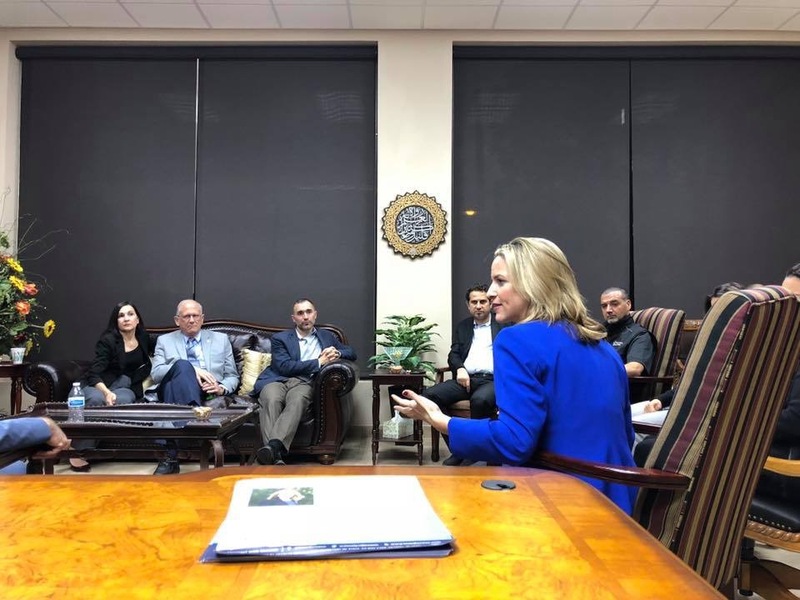 She also heard concerns about the Dearborn branch not being able to accommodate the largely Arab American customer base after the retirement of an Arab American branch manager. “You need to have the office reflect the community,” she said. Benson said she’ll prioritize voters’ privacy and securing technology around the privacy of their records, including building firewalls to protect data. She told The AANews that the optical scan machines Michigan uses provides one of the most secure voting systems in the nation. To secure elections, she promised to create an Election Security Task Force that would continually advise her on how to ensure the state has the best ideas in election security. Where Benson said she sees election fraud occurring is in the signature gather process in which people gather signature for petitions and deceive voters about what it’s for. Benson said she feels like she’s been running for the seat for 10 years. But in the last few weeks until Election Day, Benson said voters have not been paying attention to the SoS race. 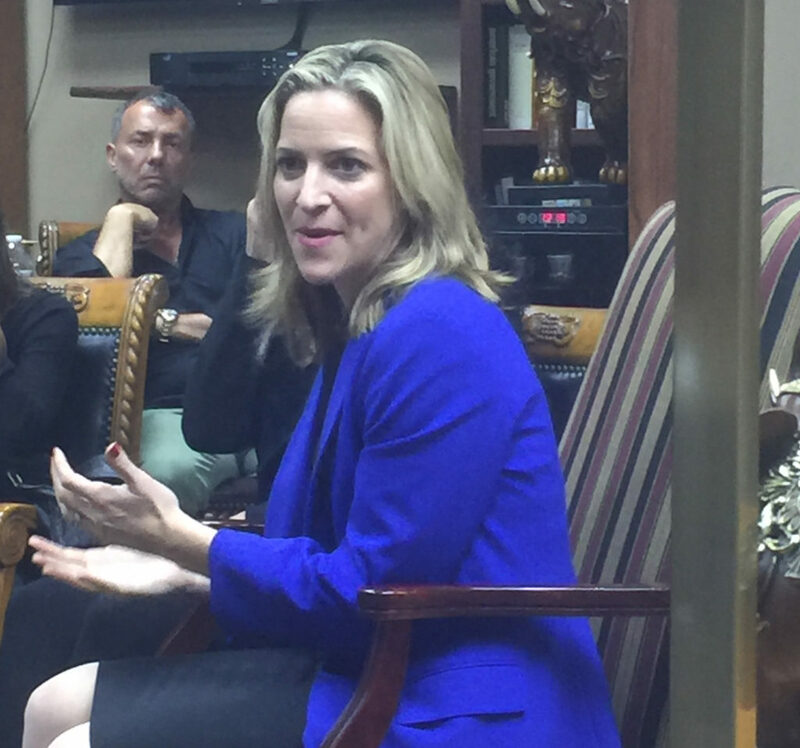 Benson said that an external polling shows her leading the Republican opponent, Mary Lang, vice chairwoman of the Eastern Michigan University Board of Regents, by 10-15 points, while her own campaign polling show the race is a bit tighter. She is now communicating with voters her ideas and what’s at stake, while listening to their issues and ideas as well, she said. The Election Day is Tuesday, November 6. 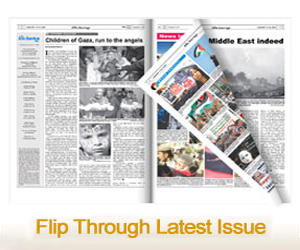 Next article Why Americans give $4 billion of their money each year to prosperous Israel?